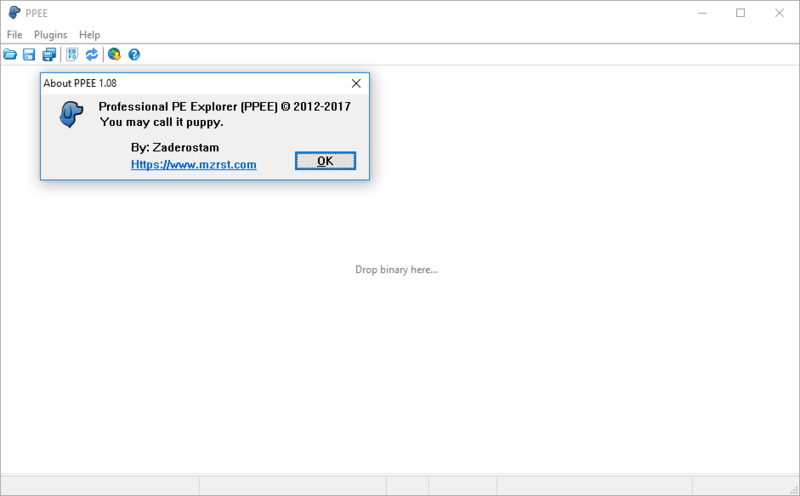 Does PPEE puppy 1.04 have a Trojan inside? PE analysis tools are common every where but one of the important features for these malware analysis tools is the ability to run in different environments and operating systems. Nowadays due to the complexity and cross-platformness of malwares in addition to the variety of tools used in malware analysis labs, researchers prefer to have labs in different operating systems. For example some investigators may prefer to use GNU/Linux, macOS or older versions of Microsoft windows for some circumstances. It sometimes depends on the malware that is being analyzed and sometimes on the tools, services and …. 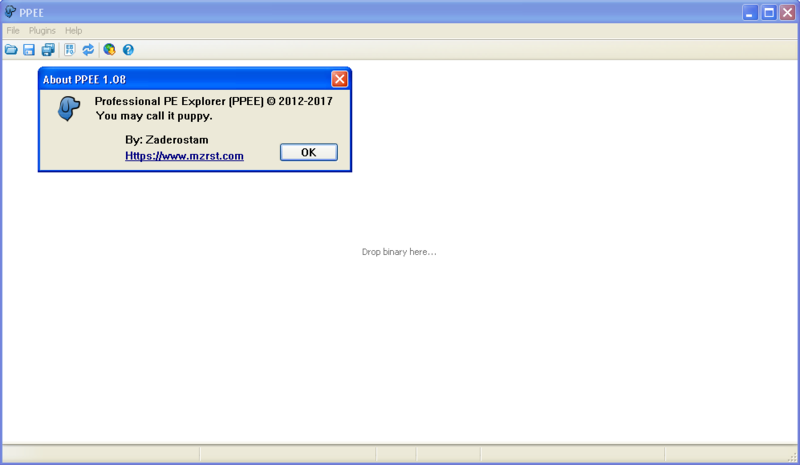 I’m glad to tell you that PPEE(puppy) is compatible with most operating systems used in malware analysis process. In windows, users can successfully launch it in Windows XP, Seven and 10. The only dependency for Microsoft environments is that Visual C++ 2010 Redistributable Package(https://www.microsoft.com/en-us/download/confirmation.aspx?id=5555) should be installed which is a package also necessary for lots of the other tools to be launched. Hence in most cases it’s pre-installed. With the thanks to Wine project, PPEE can also be launched in GNU/Linux and macOS environments. If at the moment it’s not installed at your machine, you can download and install it from here(https://www.winehq.org/download). Now everything is OK. Just drop the binary in the PPEE or choose open from File menu. I always welcome the ideas and suggestions. Feel free to drop me an email.